Summit Entertainment has announced that a quintet of Native American/First Nation actors will join Taylor Lautner as members of the wolf pack in The Twilight Saga: New Moon. 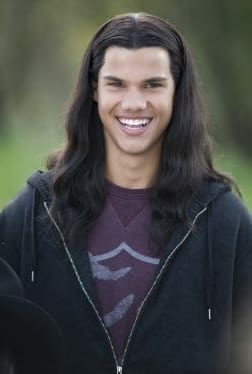 Werewolf characters, especially Lautner's Jacob Black (pictured), will figure prominently in New Moon. Look for it in theaters on November 20.